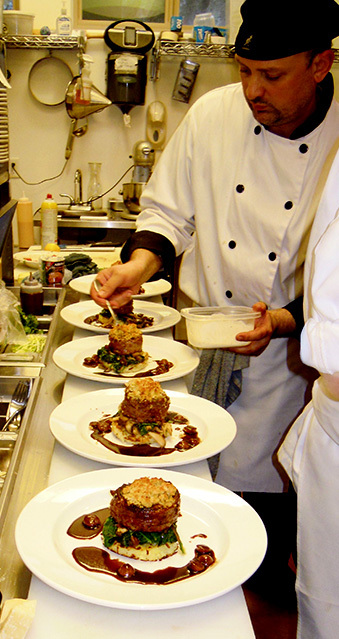 Before arriving in Canada in 2008 Colin was born and raised in England, where he began his journey at a small culinary college working in restaurants around England and Scotland. He then decided to move to Bermuda to further his career in some of the best resorts and hotels there, eventually staying for 16 years. While there Colin represented Bermuda on the culinary team competing and winning silver in Puerto Rico. Colin has always had a passion for good local food picking up many ideas and recipes from local farmers and fishermen on the island of Bermuda and now in the bountiful valley. 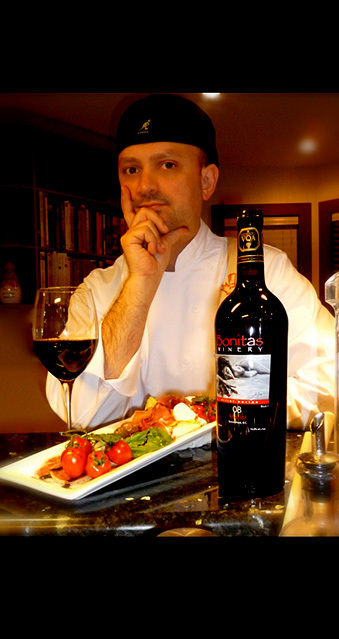 While in Canada, Colin opened his first restaurant at Bonitas Winery in Summerland, before deciding to move his business closer to his home in West Kelowna, at the Volcanic Hills Winery. Colin hopes to bring a touch of his International experience combined with everything the west coast has to offer. At the Bistro, he will be offering lunch and dinner either in the restaurant or on the large patio, with breath taking lake and vine views. With daily changing features to make the most of what is on offer, all paired with one of Volcanic Hills award winning wines.